This entry was posted in Windows, ぱそこん, 備忘録, 雑談, 駄話 and tagged AVAST, WinDbg, 本当にこれが原因なのか? (；・∀・) on 2016年8月17日 by 管理人. This entry was posted in Windows, ぱそこん, 備忘録 and tagged 200回め, スタートボタン, 素っ気ない記念日 on 2016年7月25日 by 管理人. This entry was posted in Windows, ぱそこん, 備忘録 and tagged 夏の夜, 怪談, 恐怖は再び…… on 2016年6月8日 by 管理人. This entry was posted in Windows, ぱそこん and tagged Windows Update, windows10, ちょっと急ぎすぎたかなぁ……(；・∀・) on 2016年5月18日 by 管理人. This entry was posted in Windows, ぱそこん, 備忘録 and tagged qksee, マルウェア, 完全な油断 on 2016年4月16日 by 管理人. This entry was posted in Windows, ぱそこん, 備忘録, 時事ネタ, 真面目な話, 雑談 and tagged Windows Update, Windows Upgrade, windows10, あくなき戦い, アップグレード, 回避方法 on 2016年4月14日 by 管理人. 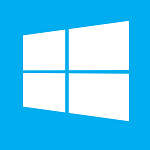 This entry was posted in Windows, ぱそこん, ボヤキ, 時事ネタ, 真面目な話, 雑談 and tagged Windows Update, windows10, 自動 on 2016年2月3日 by 管理人.